As we count down to the new year, we thought we would share one last Bates photo from 2017. It's a snapshot of Carlin Bates and boyfriend Evan Stewart. The two are in a serious courtship, which means it won't be long before they head to the altar. With at least two grandchildren on the way and potential weddings, 2018 is shaping up to be a busy year for the Bates family. Happy New Year to the Bates family. May God Bless you and your family. Neddy this is a reality tv show, there is not a planned out script, this is real people. Lily and Ellie don't know who will court when. Wait, 2 grandkids due? What did I miss?? Erin and Alyssa are both due with their baby #3 (both girls) around March, I believe. Erin and Alyssa both expecting. Everly Hope, Erin's baby and Zoey Joy, Alyssa's baby. Both are due in April. So exciting! Erin and Alyssa are both pregnant with baby girls. I’d love to see a post explaining the different stages of a typical Bates family relationship! I’m a little unclear on all the titles and what they signify. For example, what stage are Josie and Kelton in? What stage were Nathan and Ashley in when they broke up? Does a”serious courtship” always end in engagement? 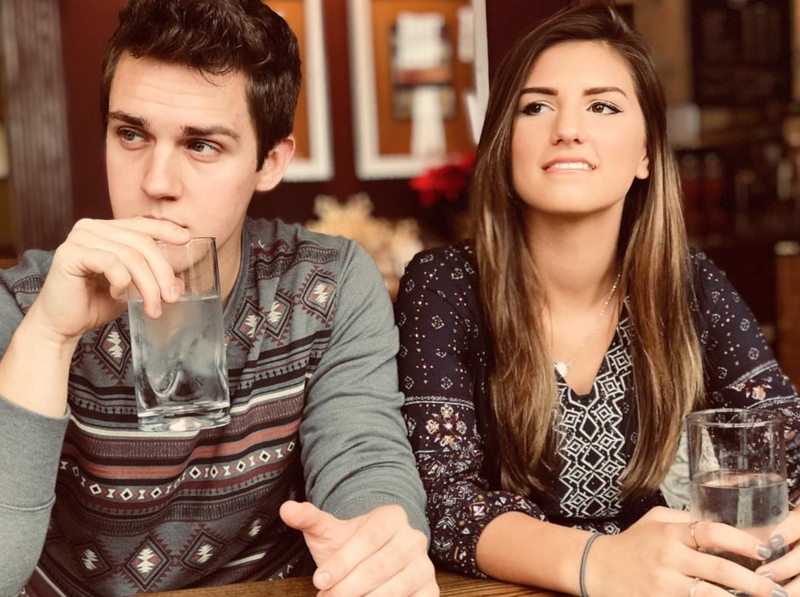 When does a courtship become a “serious courtship?” When did Carlin and Evan enter into a “serious courtship” as opposed to just a courtship? I remember the courtship announcement but not a “serious courtship” one. Please respond! Thanks. From what I understand (though I could definitely be wrong) they are boyfriend and girlfriend when they're getting to know each other... it's simply that (which would be where Josie and Kelton are) but when they move on to courtship they're saying that they're planning on getting married in the future and get to know each other on a more intimate level (thus Nathan and Ashley didn't reach courtship but were still dating) however are not yet engaged either because they are too young or not quite prepared for marriage yet - but committed completely to one another. I think saying "serious courtship" was just a word used as a description used by Ellie/Lily, not another stage. I do have to agree, it'd be great if they showed how they did their relationships - however I think that's what makes their show different from the Duggars... they hold similar values but the Duggars is so focused on all their rules for everything where the Bates show them living a normal life as a normal family. 5:14 AM.... You asked about what stage of courtship Josie and Kelton are in. I was wondering too, so I did some reading. I learned some things about Kelton. He already graduated from the same Pensacola college Tori's husband Bobby graduated from. He has a degree in finance, but is also a plumber, which is the line of work he is employed in now. Josie is 18 and Kelton is 22 or 23. The one awful thing I did read about Kelton is that he lost his mother. She died giving birth to Keltons little sister in 2009. How very sad! Josie should be done with her cosmetology classes, so, I would guess they will enter an official courtship pretty quick now as Kelton already has the means to support a family. Once courtships start, weddings are usually 3-6 months away. Maybe we will see a double wedding with Carlin and Evan and Josie and Kelton! Nathan & Ashley were courting. Some of the Bates family went to NY to visit. Nathan asked her to court while out ice skating. They held hands and referred to each other as boyfriend and girlfriend before officially courting. Every couple sets their own guidelines within the general family standards. At least two grandchildren?! Who else is pregnant besides Erin and Alyssa? "At least two" means "two or more" NOT "more than two". We know of two but in 2018 there is always the possibility someone else could be expecting along the way. There must be a possibility for Michaela!!! No one... that we know of. And there's always a good chance that by the end of this year someone else will be expecting. No one else that we know of right now but if Whitney, Michael, or Tori gets pregnant before like April, there could be another baby in 2018. It could be Michaela or Whitney. Tori just got married. If she gets pregnant soon, that would take the count to more than 2 grandbabies in 2018. Maybe someone will adopt- I'd say it's the honorable thing to do if you are adamantly against abortion and champion "pro-life" causes. Evan and Lawson look alike. Hope that these two do get engaged soon! Carlin and Evan of course! "Serious courtship"? Aren't all courtships serious? I thought that was the point of courtship, that it was never supposed to be casual like dating. Especially in the Bates family, since they call each other boyfriend/girlfriend before they start officially courting, courtship is more of a pre-engagement stage for them. I think it's just a word Ellie/Lily used to describe what all courtship is like, not specifically their courtship - but I agree, a little confusing. Since there are 3 other married couples and 12 months in the year, there could be additional babes. No-one else has announced a pregnancy.